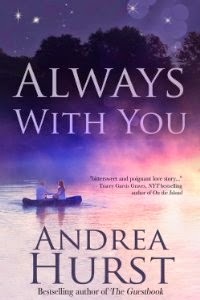 "Always With You is the bittersweet and poignant love story of a woman trapped between temptation and the ties that bind." ~Melissa Foster -New York Times & USA Today bestselling & award-winning author. "Warm-hearted, wise, touchingly written, and exploring the depths of human emotions. This book about forbidden love is not to be missed." Since the devastating failure of her short-lived marriage, Cathy has buried herself in her work and kept men at arm’s length. But when an old high school friend, Pam, brings her family for a short stay, Cathy’s stone walls begin to crumble when she meets Jamie. Jamie, whose compassion and warmth slowly break down her defenses. Jamie, whose devotion to his four-year-old daughter melts Cathy's heart and makes her desperate for a family of her own. Jamie… who is married to Pam. The idea came to me in a dream—a very powerful dream that resonated with me so deeply that I had to write this story. The story flowed out of me in just a matter of months. I sat down and started writing in first person, present tense, which I’ve never done before. I could basically hear Cathy’s voice telling me the story. And I really reacted to it as if I was hearing it, because I found myself very sad in parts of the book. Just thinking about the book today, it’s still a very emotional experience. I came up with the idea for the cover from one of the key scenes in the novel. The scene is where Jamie and Cathy explore the Napa/Sonoma valley. They end up at the Russian River for the day, where they first start to really fall in love with each other. I wanted to feature the Russian River on the cover because of this integral scene. The actor I would want playing Jamie is Liam Hemsworth and I would cast Bella Thorne as Cathy. Women’s fiction focuses on women and their day to day struggles. It focuses on women finding their passion and gaining confidence in their abilities. It’s an empowering genre that I enjoy. Love stories are very compelling to me and this book also has strong romantic elements. With romance, I love merging two lives together and focusing on how they the face life’s challenges. What is it that makes someone fall in love with someone else? That question is always fun to try to answer and show to my readers. I began writing when I was in college, where I majored in Expressive Arts. For my thesis, I wrote a cookbook called Everybody’s Natural Food Cookbook. While it would be years later till I started writing novels, this was my first experience with writing a book. The idea that made me first want to write a novel was one I got while I was at the Farmhouse Bed and Breakfast on Whidbey Island with a good friend. Every spare moment she got, she was reading entries in their guestbook. Finally, I asked her what was so fascinating, and she said that she loved hearing about other people’s lives, experiences, loves, and adventures. In that moment, the story for The Guestbook, my first novel, just took hold of me and never let go. Sometimes for character names I use names from people in my life, but for main character names they often come to me already named. Often I research names of the time period and their meanings as well. One of my favorite books is The Husband’s Secret by Liane Moriarty. This was a beautifully written book that had multiple threads that came together to create a shocking plot. It was well crafted. One writer I am inspired by is Catherine Ryan Hyde who wrote the bestseller Pay it Forward and many other amazing novels. We don’t necessarily write in the same style, but she still inspires me to write. Reading Nora Roberts who creates unforgettable characters helped me to understand the genre. Beautiful settings and escaping somewhere to write inspire me as well. Where is your favourite place to write?Almost every Wednesday, I go down the Coupeville Pier and join a group of writers at a coffee house that overlooks Penn Cove. We call ourselves Just Write. Writing can be very isolating, and I find the company of other writers to be very supportive. Looking out the windows at the coffee house, I am surrounded by water and this is where I do some of my best writing. I love Bridges of Madison County. It is a beautiful love story that rips at the heart. It is what helped inspire me to write Always With You. Jane Austen. I would love to hear about her life and career and challenges. I have two dachshunds. One is a long-haired standard named Basil and the other is a rescue dog named Ferdie. Ferdie is a black and tan and hates to leave my side for even a minute. I live on a beautiful island similar to Madrona Island, the island from The Guestbook, my first novel. Coupeville, the town I live in, has a farmer’s market from April through October and this is a favorite event of mine, where I can mingle with people and find great, fresh produce. My next book is the second Madrona Island Trilogy, Tea and Comfort. This book features Kyla Grant, who owns a tea and herb shop called Tea and Comfort. Kyla was once engaged to a man, Luke, who just moved to Madrona Island. Now she must fight the attraction still simmering between them, even as Luke pushes her to tell him why she broke their engagement. Look for this beautiful romance, which should come out in March. I want to go to Europe and set a book series there. My initial plot idea is an American woman goes to Italy and see the ancient architecture and eat great Italian food. She falls in love with an Italian chef who is one of three brothers. They end up opening a restaurant in America together. I also would love to visit Greece, which is the country of my ancestors and is a place close to my heart. 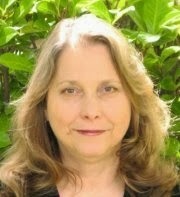 I always wanted to be a writer and a teacher, so it is a dream come true to have success with my novels. Thank you for hosting the virtual book tour. - Kathleen Anderson, PUYB Tour Coord.